EU agri-food exports outside the region grew to record levels in 2015. A report from the European Commission showed exports to third countries, those outside the EU, grew 6 per cent on 2014 to £101 billion (€129 billion) during last year, with 10 of the 12 monthly values exceeding those of 2014. China overtook Russia as the second biggest destination for EU goods with a 39 per cent increase in values. Exports to the US grew 18.5 per cent. The report said: "With EU agri-food imports also increasing to €113 billion, a 8.7 per cent increase on 2014, the 2015 trade balance for all EU agri-food products showed an overall surplus of €16 billion, a bit lower than the €18 billion seen in 2014. "Analysing the origin, imports from Brazil, the traditional first EU supplier, remained quite stable. Imports from the USA, which is already the second most important supplier, showed the highest increase in values," the report said. 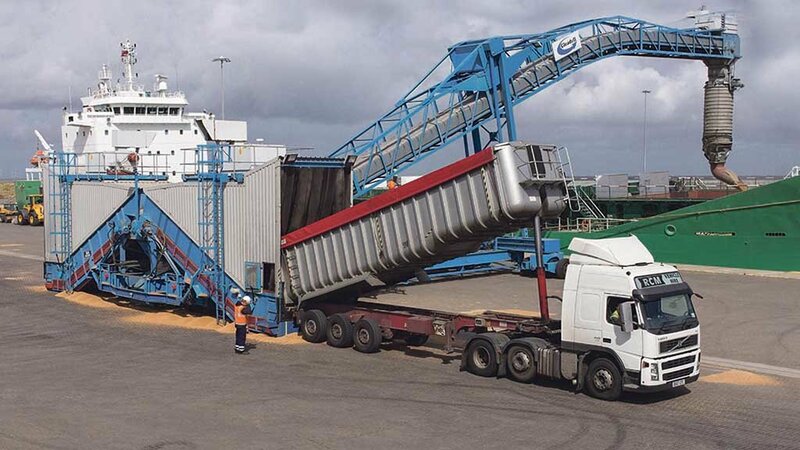 Cereals was one of the best performing sectors, increasing export values 68 per cent. Live animal exports were up 25 per cent. "On the negative side, milk powders , fresh fruit and cheese lost most in export values over the last year, all of these products concerned by either the Russian embargo or the contraction of Chinese demand for dairy products," the report added. Milk powders were back 17 per cent while cheese was back 3 per cent. Are new year exchange rate moves finally going to lift farm exports?